Does Noble Mountain shake its trees and why or why not? 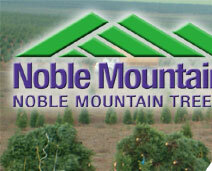 Noble Mountain’s goal is to shake all trees before shipment. This removes naturally occurring interior dead needles and debris and in most cases any insects which may still be above ground at the time. This provides customers and the ultimate consumer with a much nicer tree to display with minimal effort. 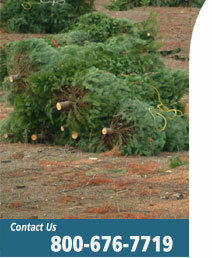 How are your trees graded? Noble Mountain’s trees are graded standing in the field so our graders are able to view the whole tree for conformation and uniformity. How experienced are your graders? Many of our graders have over 15 years of grading experience which helps assure uniformity and consistency. When are Noble Mountain’s trees graded and why? Our grading typically starts in late July so we are able to finish by mid-September. This allows customers the opportunity to see the trees they will be receiving well before the shipping season if they wish. What are your grading criteria? Our grading criteria are set to exceed the USDA grading standards with the exception of handle length. Basal pruning takes place early in a trees life cycle and some trees handle length (very few) will not meet USDA standards of 1 to 1 1/2 inches of handle length per foot of tree. What grades does Noble Mountain market? Noble Mountain markets a #1 and better grade (includes premiums) and a # 2 grade. Unlike many growers who market a “field run” grade which can vary by field, we stress grade uniformity to assure customers they are getting the “look” they are paying for. 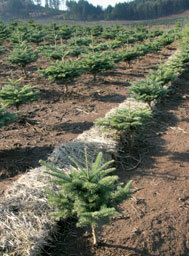 Why would a customer buy a #2 grade tree? Some customers have lots located in areas with a lower income demographic than others so providing affordable value is important to them. Also, as # 2’s are generally a bit more open in nature, many customers have found that the desire of consumers for a more natural looking tree which can display more ornaments and lights is a need that requires a mixture of # 1’s and # 2’s. In many cases we are able to arrange freight by putting several orders together to make a load. Dates of delivery and other variables may not allow this in some cases however.